Taking over the bitcoin network requires control of over 50% of the combined computing power of the entire network – which at the time of writing (April 6, 2014) is about 563exaFLOPs, up from 64 exaFLOPs four months ago. To put this into perspective, in November 2013, Rueven Cohen reported that the world’s top 500 super-computers combined clocked 0.25 exaFLOPs in June 2013. According to the latest statistics from November 2013, the top 500 still have a combined power of only 0.25exaFLOPs – negligible improvement whilst the Bitcoin network became over 850% stronger (despite losing 60% of its value during that time!). Considering that Moore’s Law is set to expire within a decade, and only a few people are actually seriously into Bitcoin mining as of yet – Dr Evil will need to act soon (i.e. within the next few months), or he will miss his chance forever. The world’s fastest super-computer, Tianhe-2, is estimated to cost USD$390million. Tianhe-2 can clock 0.03386 exaFLOPs, so you would need over 8000 of them to get to 50% of the current network hash rate. However, Dr. Evil will be adding so much extra power to the network, he will need an extra 3500 Tianhe-2’s to secure the balance of power. This will cost Dr. Evil USD$4.1 trillion to take over a network with a current market cap of just over USD$6bn. Also, as soon as it is found out that Dr. Evil has compromised the network, users will abandon bitcoin, so he will be holding valueless bitcoins. Dr Evil is portrayed as a pretty incompetent evil genius, but I don’t think he’s that incompetent. There are cheaper ways to take over the network, possibly through buying cloud-hosted mining contracts or buying specialised Bitcoin mining equipment, known as ASIC miners. Although he’d have the cash flow to cover the venture (you’d only need about USD$200 million to buy enough ASIC miners to take over 51% of the network), there probably aren’t enough ASIC mining rigs or cloud-mining contracts available in the world for him to buy to get the job done. Although it’s doable, it’s not very practical, and if not undertaken within the next year or so, may prove to be an impossible feat for an evil genius. No-one can endeavour to attack the bitcoin network and expect it to be a profitable venture. Huge losses will be incurred by someone trying to take over the network by force, due to the total loss of faith (and hence, value) in the Bitcoin network. 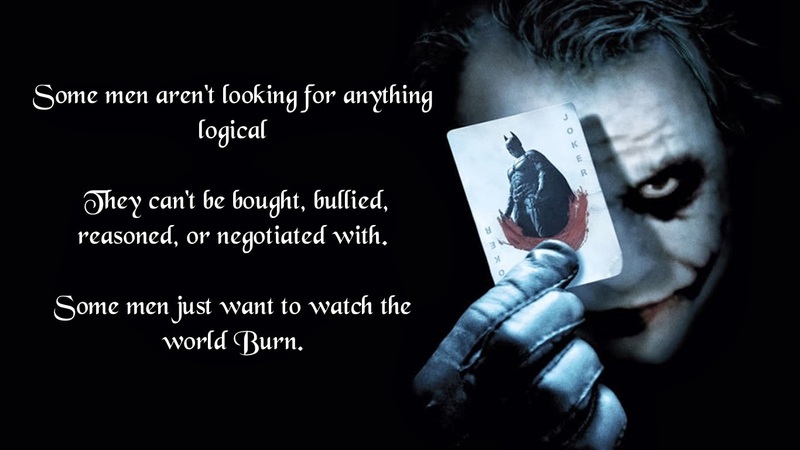 Of course, for villains like The Joker (shown below) whose motives are usually unclear and not based in rationality, paying billions to destroy billions might be considered a value-for-money pursuit. 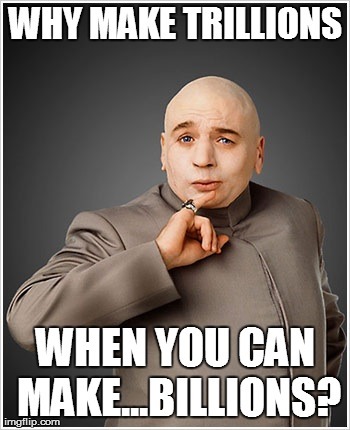 That said, I’m not sure The Joker’s bankroll is as large as Dr Evil’s – so he would need a huge chunk venture capital from his equally irrational rich nefarious associates if his plan was to get off the ground. Chen, S., 2013. World’s fastest computer, Tianhe-2, might get very little use. Cohen, R., 2013. Global Bitcoin Computing Power Now 256 Times Faster Than Top 500 Supercomputers, Combined!. Hruska, J., 2013. Intel’s former chief architect: Moore’s law will be dead within a decade. Nakamoto, S., 2008. Bitcoin: A Peer-to-Peer Electronic Cash System. Top500 Supercomputer Sites, 2013. November 2013 List. Wang, X. D. & Ishikawa, H., 2005. Linear and Differential Cryptanalysis of SHA-256. Journal of the Faculty of Environmental Science and Technology – Okayama University, 10(February 2005), pp. 1-7.